We’ve gathered some useful local and national services for young people below. If you know of a great service that you think we should add, please let us know. www.essexlocaloffer.org.uk is a database of services and support for young people with special education needs and disabilities. Produced by Essex County Council, your club can join for free. www.essexyeah.org.uk guides young people through health and care services in Essex. In just a few clicks you will be able to find information on health and well-being, sexual health and relationships, and mental health. The website includes a comprehensive list of services and organisations in Essex that can help young people. The site was developed in direct response to the findings of the Healthwatch Essex YEAH! Report which highlighted that many young people did not know where to go for information about health and care services. Action for Family Carers is a registered charity providing support and information to unpaid Carers across Essex. A Carer is someone, who, without payment, provides help and support to a partner, child, relative, friend or neighbour, who could not manage without their help. This could be due to age, physical or mental illness, addiction or disability. 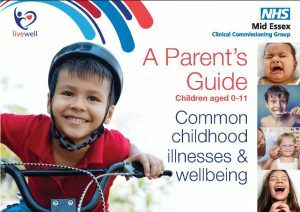 The Common Childhood Illnesses and Wellbeing Handbook is an extensive and informative guide for anyone who cares for a child aged from birth to 11 years old. It gives advice on how to spot signs of illness and what to do for minor conditions such as coughs and colds, fever, dry skin and rashes, chicken pox, bumps and bruises. Information on mental health and wellbeing, healthy lifestyles and advice on some more serious conditions like meningitis and sepsis is also covered in the booklet. There’s also a handy section on when you should keep your child home from school. www.riseabove.org.uk aims to build emotional resilience by equipping young people with knowledge to make informed decisions. Launched by Public Health England to tackle problems facing young people such as puberty, relationships and peer pressure. www.thinkuknow.co.uk is the guide to internet safety and safe surfing for young people, with downloadable resources and hard-hitting films. It is run by the UK’s Child Exploitation and Online Protection Centre. www.autism.org.uk is the online home of the UK’s leading autism charity. Since they began over 50 years ago, they have been pioneering new ways to support people and understand autism. The site is filled with helpful advice and information. Kidscape is a UK charity working to equip young people, parents and professionals with the skills to tackle bullying and safeguarding issues across the UK. FRANK is a national drug education service jointly established by the Department of Health and Home Office. It aims to reduce the use of both legal and illegal drugs by educating young people about the potential effects of drugs and alcohol. YoungMinds is the UK’s leading charity committed to improving the emotional wellbeing and mental health of children and young people. Driven by the experiences of children and young people, YoungMinds campaigns, researches and influences policy and practice. They also provide expert knowledge to professionals, parents and young people through their Parents’ Helpline, online resources, training and development, outreach work and publications. Get Your Rights is an interactive website for children and young people that explains their rights when using the NHS. The website has an interactive guide to the rights in the NHS Constitution, videos from young people telling their stories about how the rights have made a difference to them, and messages from professionals explaining why they value young people’s rights. Did you know there are an estimated 800+ women and girls living with the effects of Female Genita l Mutilation in Essex? 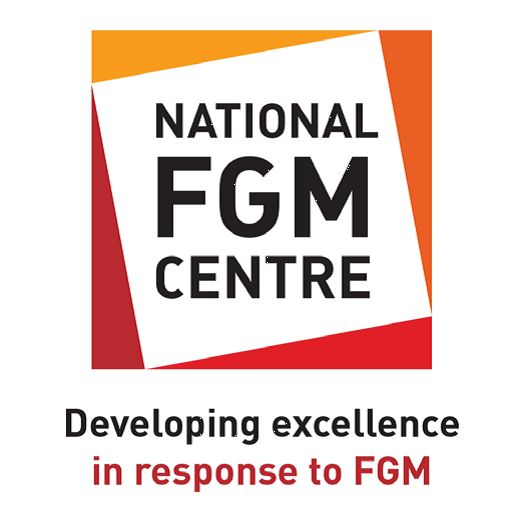 The National FGM Centre is a FREE service that provides information, advice, education and awareness around FGM. Did you know that 1 in 50 young people between the age of 12 – 15 develop gambling problems?. GamCare is the leading source of information, advice and support for anyone affected by problem gambling. Their website consist’s of Online Forums, NetLine and a Free Helpline 08088020133.